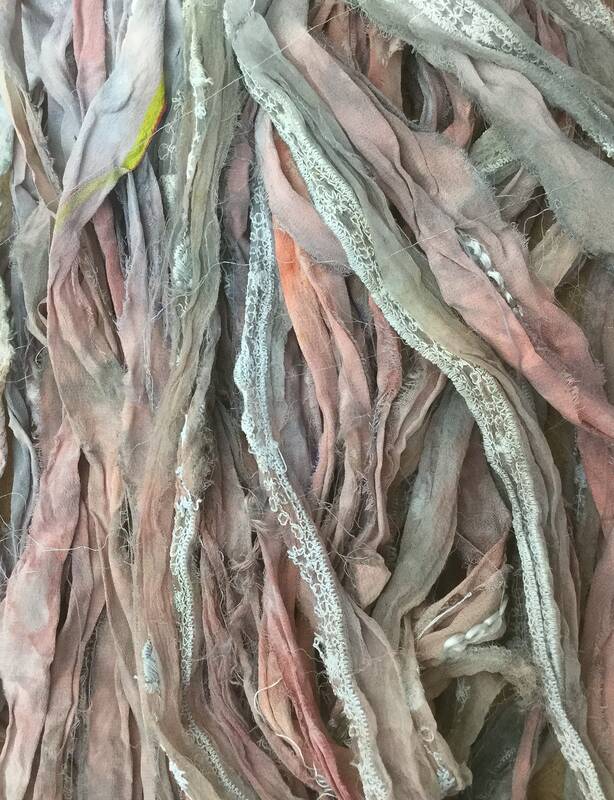 This listing is for 1 x 100g hank of Sari Silk Chiffon Ribbon with ‘Lace Inclusions’. They are the They are like Sari Silk Ribbons, but made with softer Chiffon fabrics which are 100% Silk. 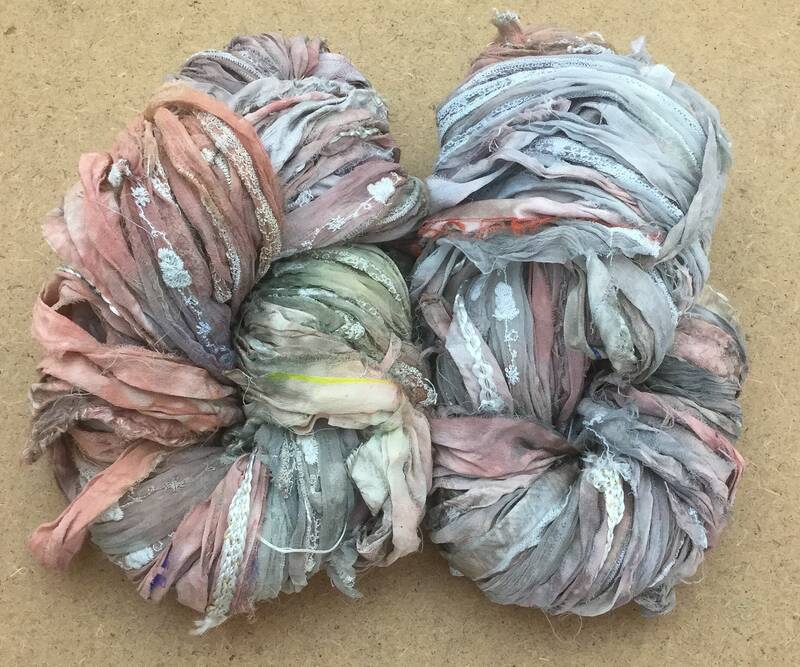 Each Sari Silk Chiffon Ribbon Hank is a unique and inspirational art yarn. This Sari Silk Chiffon Ribbon is a bi-product of Silk Sari manufacturing in India and has a beautiful rich quality. They are handmade by womens' co-operatives in rural India.